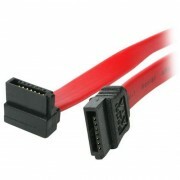 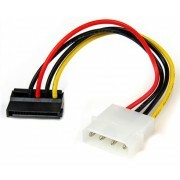 These 150mm power supply cable will allow you to add an additional hard drive or CD/DVD-Rom to yo.. 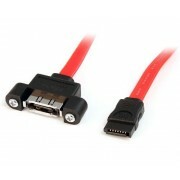 Applications: • High-end workstations • For use in servers and storage • Compatible with Serial A.. 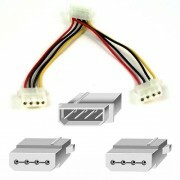 Enables you to extend your SATA interface and provide a panel mount connector for your eSATA devi..
StarTech 6in 4 Pin Molex to Left Angle SATA Power Cable Adapter The SATAPOWADPL Mole..